Gluten-Free Living > Blog > Generic vs. brand-name: How do they differ? Generic vs. brand-name: How do they differ? Steve Plogsted, a pharmacist at Columbus Children’s Hospital, is an expert on gluten in medications. His website, glutenfreedrugs.com, is widely recognized as the most reliable source of information on prescription and over-the-counter drugs. Have a question about gluten and medications? Send it to [email protected]. A patient recently asked me the difference between a branded drug product and a generic one. First, a generic drug must have the same active ingredient(s) as the branded drug. 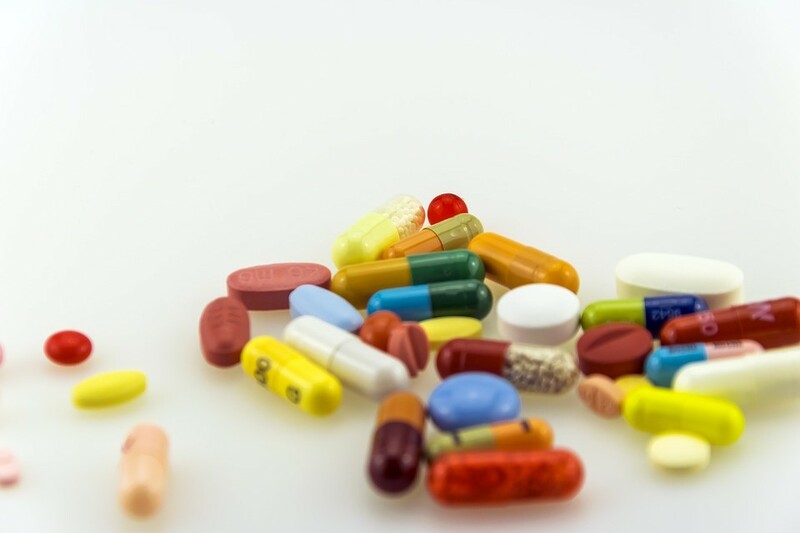 According to the U.S. Food and Drug Administration (FDA), the generic drug must also meet certain other requirements in areas such as drug dissolution time, absorption, distribution and elimination from the body. In other words, the generic drug must meet the same standards of quality as the branded drug. The production facilities that manufacture generic products are subject to the same inspections as the brand-name companies and must demonstrate all of the quality control steps required by the FDA. Of course, lower cost is a major benefit that generic drugs have over their brand-name counterparts. The Congressional Budget Office estimates that generic drugs save consumer $8 billion to $10 billion dollars a year at the retail pharmacy level and billions more at the hospital level. Generic and branded drugs differ in the use of excipients, or fillers. Generic equivalents do not have to contain the same excipients as their branded counterparts, which can result in issues for a patient who has some form of gluten intolerance. The FDA defines an excipient as any inactive ingredient that is intentionally added to therapeutic products and not intended to exert any therapeutic effects on the intended dosage, although they may improve product delivery. Examples of excipients used as diluents include all types of starches, lactose, maltodextrin, dextrins, dextrates, sugars and sugar alcohols such as mannitol, sorbitol, maltitol and cellulose derivatives. Many of these also serve as tablet and capsule binders. Other ingredients, called lubricants, allow the powders to flow smoothly by decreasing the friction between ingredients. Examples include the various stearates, mineral oil, some starches, talc and even vegetable oil. The colorings seen in the drug products are the food dyes FD&C reds and yellows, iron oxides (rust), titanium dioxide and fruit extracts. Some drug products require that the active ingredient be suspended in a liquid or the liquid have differing viscosities, which may entail the use of pectin, guar gum, xanthan gum, cellulose, gelatin or even differing starches. Coatings used in both capsules and tablets can be in the form of wax, shellac, gelatin, starch, titanium dioxide or other polymers. Although several other types of excipients have not been mentioned here, all excipients have been deemed safe for human use by the FDA, meaning they are not likely to result in harm to the general public. However, this does not mean that certain excipients don’t pose a danger to individuals with conditions such as celiac disease or gluten intolerance. The FDA has never mandated that drug manufacturers test for the presence of gluten or even disclose in their literature the potential for gluten contamination. Another question I often receive is in regards to generic drugs manufactured in a foreign country. Here again the FDA mandates that any drug produced in a foreign country intended for legal sale in the U.S. must follow the exact same procedures as the U.S.-based companies and be inspected regularly by agents of the FDA. Such plants must maintain the same level of quality control that they would if they were based in the U.S.
Consumers face a major challenge when it comes to knowing which manufacturer’s product they will receive with each prescription fill and whether that product is safe for a person with gluten intolerance. Consumers who fill their prescriptions by a local pharmacy have a little easier time because they can inspect the product prior to taking it home. This gives them the opportunity to check a product’s status to make sure it is safe for people on the gluten-free diet. Most states’ boards of health do not allow the pharmacy to accept a returned medication once it leaves the pharmacy. Consumers who use a mail-order pharmacy service have limited options to ensure that they receive a gluten-free product. Generic products are considered as safe and effective as the brand-name product and will likely save the consumer a significant amount of money in the long run. However, the consumer needs to be aware that their product could change from month to month depending on what is stocked at the pharmacy’s wholesaler. Don’t be afraid to ask you pharmacy to order the generic product that has worked for you in the past.